A new puppy means opening a new chapter in your life. Getting a new puppy implies acquiring an affectionate companion and devoted guardian. On the flip side, it also implies saying goodbye to your new shoes, house plants, pristine carpets and fur-free furniture. There is no denial that puppies are time and money consuming. Nevertheless the joy they bring in our lives cannot be measured. Part of being a responsible dog parent is knowing when to say no. No matter how much we want to spoil our furry babies there have to be limits. One of those limits should be implied when feeding our pups. 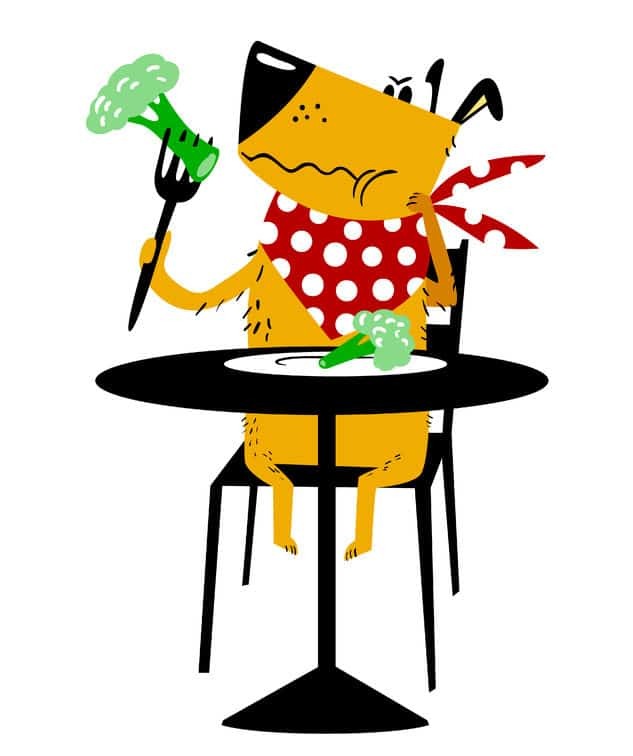 Certain foods we eat on a daily basis can be toxic for dogs. 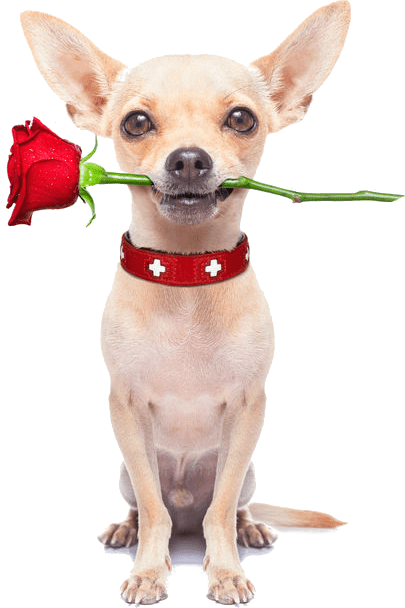 Can I feed my dog human food instead of dog food, thats the question most pet parents ask themselves, – find out what your canine baby can eat and what is forbidden. Avocados are listed among the top 10 most dangerous human foods for dogs. The avocado’s toxicity is due to a chemical compound called persin. The persin is a fungicidal toxin and it is mostly concentrated in the avocado’s leaves. A certain amount of persin is also present in the pits from where it leaks and penetrates the pulp. Compared to other animal species, dogs are more resistant to the persin’s toxic effects. However, they are still sensitive and can suffer great consequences if exposed to sufficient amounts of persin. Small amounts of persin in dogs, lead to gastrointestinal approach manifested with diarrhea and vomiting. Larger amounts of persin can cause inflammation of the mammary glands and even heart failure. Another problem with the avocados is the size of their pits. 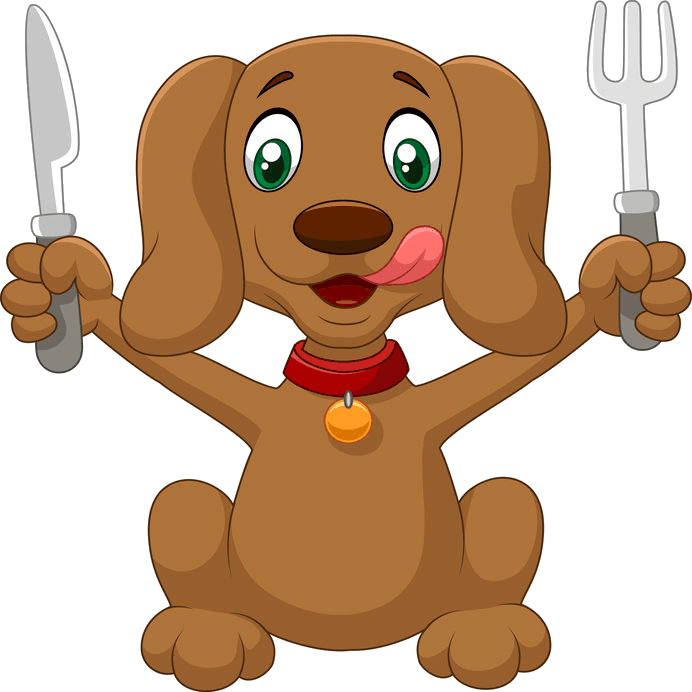 Since dogs tend to be overzealous eaters they can easily swallow the pit and once swallowed, the pit may lead to gastrointestinal obstruction. The pit also poses a choking hazard. What should I do if my dog ate avocado? Can my dog have Broccoli? Broccoli is extremely healthy, not only for people, but for dogs too. Packed with vitamin C and high in healthy fiber, the broccoli is a health bomb. In addition, it is very low in fat. Unfortunately, in the canine nutrition, the broccoli’s beneficial effects come with a price. In a nutshell, broccoli is considered safe for dogs if the total ingested amount does not exceed 10% of the total daily food intake. Everything over 25% is considered to be toxic. Broccoli contains a potentially harmful and toxic ingredient known as isothiocyanate. The isothiocyanate is found in the broccoli’s florets and if ingested in larger quantities can cause mild to severe gastric irritation. It should be noted that some dogs are more sensitive to this compound, while others seem to be resistant. When offering your dog broccoli, make sure to cut it up into bite size chunks, because the stalks pose a choking hazard, especially for dogs who tend to be voracious eaters. 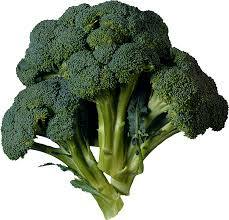 All things considered, as long as it is used in moderation, broccoli is safe, tasty and healthy for dogs. It can be used either raw or cooked. What should I do if my dog ate broccoli? If your dog ate broccoli in amounts larger than the safe limit, and if she looks like not well, contact your vet and follow his instructions. Can my dog have Chocolate? Methylxantines have the same effects in both humans and dogs. however, humans can break them down faster, while dogs metabolize them more slowly, thus increasing their chances of causing harmful consequences. It is interesting to mention that different types of chocolate contain different amounts of methylxanthines. 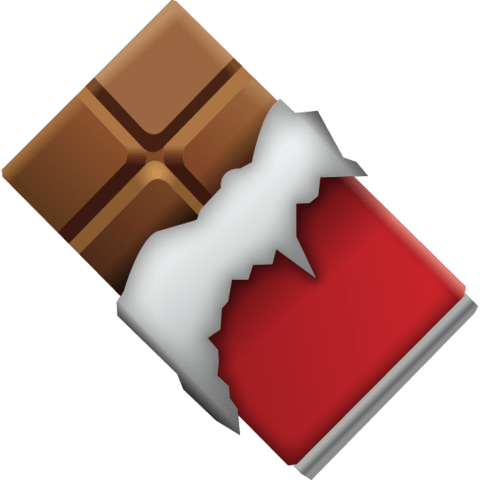 In general, the darker and more bitter the chocolate the more danger it holds. For example, milk chocolate is toxic if ingested in amounts of 0.7 ounces per pound of body weight. Semi-sweet chocolate if ingested in amounts of 0.3 ounces per pound of body weight. Dark chocolate if ingested in amounts of 0.1 ounces per pound of body weight. If your dog ate chocolate, try to determine the amount and take the dog at the vet’s office. Can my dog have nuts? The general rule of the thumb is that dogs should avoid eating nuts, because all of them hold certain toxicity levels. Bearing in mind the huge variety of nuts available, it is hard to keep track of which nuts are dangerous and which are generally safe. Walnuts are extremely dangerous and should never be used in dogs. The consequences of eating walnuts vary from mild stomach upset to potentially fatal intoxication. Black walnuts contain a toxin named juglon. English and Japanese walnuts are not toxic but lead to stomach upset. Macadamia nuts and pecans are extremely toxic for dogs even if ingested in small amounts. The toxins found in these nuts are very potent and cause seizures and other neurological conditions. Almonds, pistachios, cashews and peanuts are not toxic on their own but are hard to digest and can cause mild to severe stomach upset. In addition they are very rich in fats and can easily lead to pancreatitis. Generally speaking, all nuts are prone to getting molds. If molded, they can contain mycotoxins that cause seizures and have other long-term and life-threatening consequences. At last, all nuts pose choking hazards especially for smaller dog breeds. 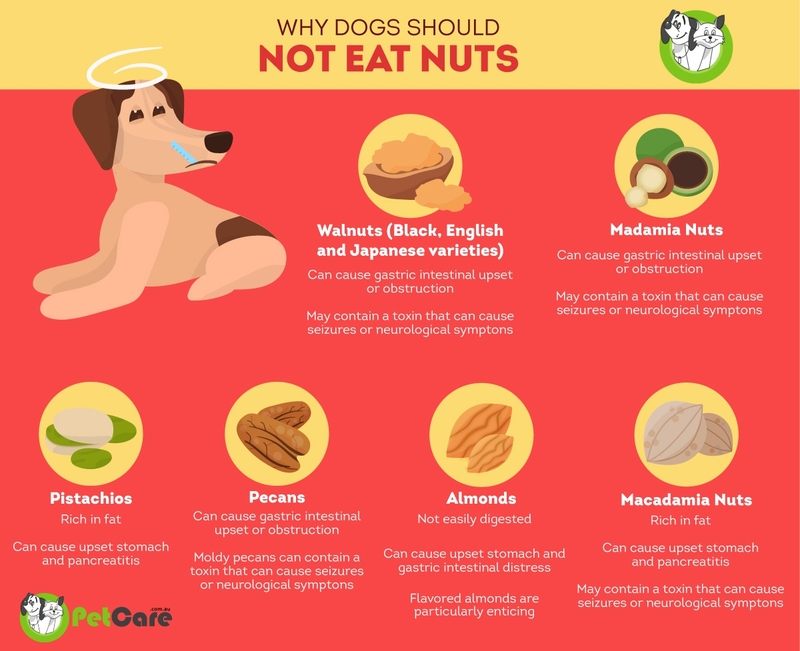 Plus, if a whole piece of nut is swallowed without being properly chewed (which dogs tend to do often), it can cause esophageal or intestinal blockage. What should I do if my dog ate nuts? If your dog ate nuts, find out which type it ate and call your vet immediately. Depending on the type of nuts and the amount consumed, the vet will either suggest an examination and treatment or advise you to wait for signs of gastrointestinal distress. Can my dog have garlic? Garlic, together with onion, leek and chives are all members of the Allium family. Due to a substance they contain, all members of this family are toxic for dogs. That substance is called N-propyl disulfide. The N-propyl disulfide damages the hemoglobin (substance found in red blood cells, responsible for carrying oxygen). The damage results in rupture of the red blood cells and their removal from circulation. If the removal is prolonged, it can lead to a severe condition known as hemolytic anemia. If the amount of N-propyl disulfide Is not enough to cause toxicity it will still be trong enough to cause gastrointestinal discomfort followed by vomiting, diarrhea and dehydration. Recently, there has been a popular and uprising trend of using garlic as nutritional supplement for dogs. A plethora of non-conventional canine nutritionists promote its health benefits. 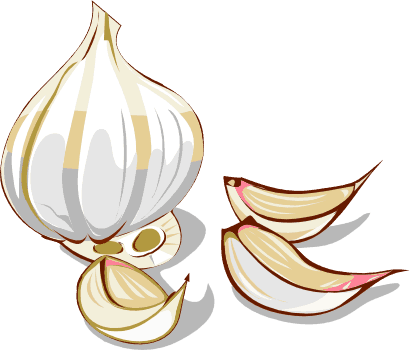 They propose that if properly prepared, the toxic compound in the garlic can be deactivated. However, since there are no scientific data that verify this statement, officially garlic is considered toxic and potentially life-threatening. What should I do if my dog ate garlic? Can my dog have grapes & raisins? Grapes, in both their forms (raw and dried – raisins) can be extremely toxic for dogs. When discussing the grapes and raisins toxicity for dogs, the accent is put on the word can. Simply put, as interesting and unusual as it sounds, some dogs can eat tons of grapes without experiencing any side effects or signs of illness. On the other hand, for some dogs, even a few pieces of grapes can be not only toxic but also fatal. This peculiarity cannot be scientifically explained. It is believed that grapes toxicity in dogs is genetically determined and some dogs lack the enzymes necessary for metabolizing grapes. When it comes to grapes toxicity in dogs, it has been shown that age, size and breed are not influencing factors. 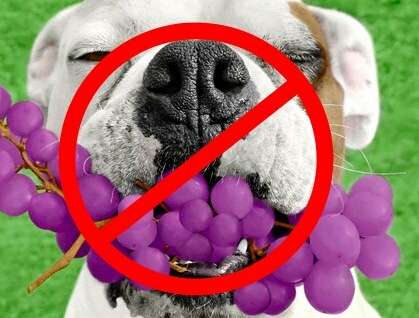 Since there is no way of determining whether your dog is or it is not predisposed to grapes toxicity and since there is no insured safe dose, it is best to assume that grapes and raisins are a prohibited food for your dog. What should I do if my dog ate grapes or raisins? If your dog ate grapes or raisins, take it to the vet’s office immediately. Can my dog have corn & pop corn? Containing several vitamins and minerals, corn is a popular cereal. Due to its low price, corn is often found in many commercially available dog foods. However, corn is not more than cheap filler – it is also a good source of proteins, carbohydrate, linoleic acid, dietary fibers and antioxidants. The corn used in these foods is processed and pulverized. However, giving cooked and canned corn to dogs is not a good idea simply because they will not be able to properly process it. In addition, the cob poses a chocking hazard and an intestinal obstruction hazards. Popcorn poses a choking hazard for dogs. In addition, the kernels can easily get stuck between the dog’s teeth, causing pain and discomfort. However, and occasional treat of plain and fully air-popped popcorn is not forbidden. Flavored popcorn, heavily salted popcorn and popcorn covered with toppings should be avoided. All in all, although not toxic, corn and popcorn are not recommended for dogs. 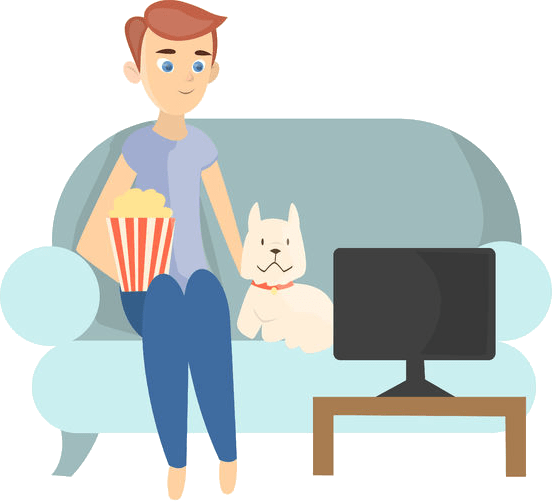 What should I do if my dog ate corn or pop corn? If your dog ate corn or popcorn in amounts larger than the safe limit, monitor your dog and contact the vet if any unusual signs appear. Can my dog have Mushrooms? Same as with humans, the only approved mushrooms option for dogs are certified and store bought mushrooms. Picked mushrooms are too much of a risk, even if picked by professionals. • Neurological signs and symptoms. 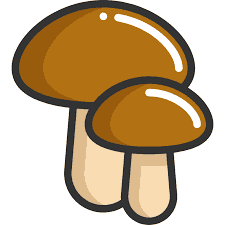 Another common problem with mushrooms, even ig store bought, is that many dogs are either allergic or intolerant to them. All in all, if your dog is capable of digesting mushrooms, an occasional treat made of store bought Portobello mushrooms is a perfectly safe option. What should I do if my dog ate Mushrooms? 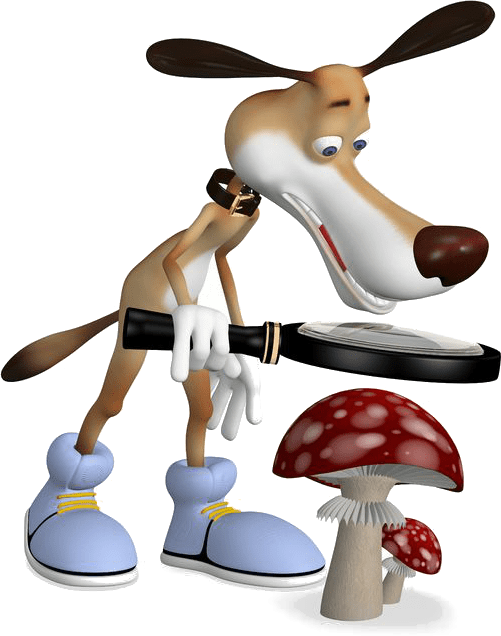 If your dog ate mushrooms and you are not sure whether they were safe or not it is best to take your dog to the local vet as soon as possible. It is also advisable, if possible, to bring a sample of the mushrooms with you. Can my dog have Cheese? It is no secret that dogs love cheese just as much as we do. 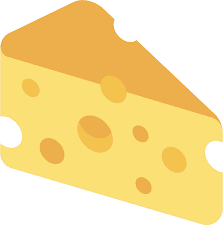 Cheese is not only delicious but also has high protein content, several essential fatty acids, certain vitamins (A and B-complex) and minerals (calcium). When it comes to dogs, cheese is not prohibited. However, it should only be used in small amounts as an occasional treat. To be more precise, how much cheese a dog can eat depends mainly on the type of cheese. For example, super-rich and fatty cheeses should be avoided, because they are hard to digest and can easily promote obesity. On the other hand, lighter, low-fat alternatives such as mozzarella and cottage cheese are a safe option. Another factor, worth considering, is the salt content. Certain cheese types are very high in salt. Unfortunately, dogs cannot process salt as well as we can and excess salt intake may lead to vomiting, dehydration and dizziness. Last but not least, recently, more and more dogs are reported to be lactose intolerant. In lactose intolerant dogs, even small amounts of cheese can lead to adverse reactions manifested with bloating, gassiness and diarrhea. 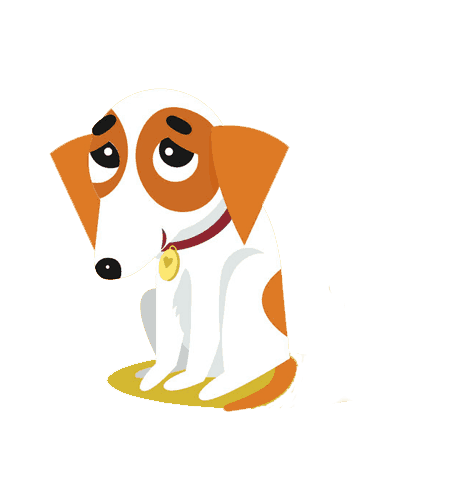 What should I do if my dog is sick after eating cheese? If your lactose intolerant dog ate cheese, contact your vet. Can my dog have Apples? 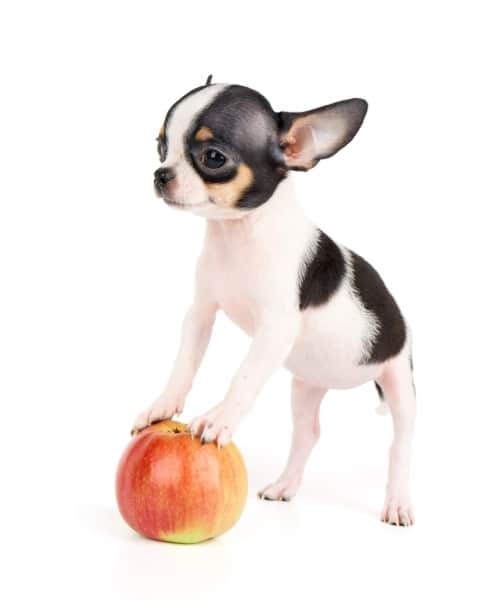 When it comes to canine nutrition, apples are safe as long as they are used in moderate amounts. Just like other fruits, apples are packed with vitamins (A, C, K), minerals (calcium), healthy dietary fiber and phytonutrients or plant chemicals. 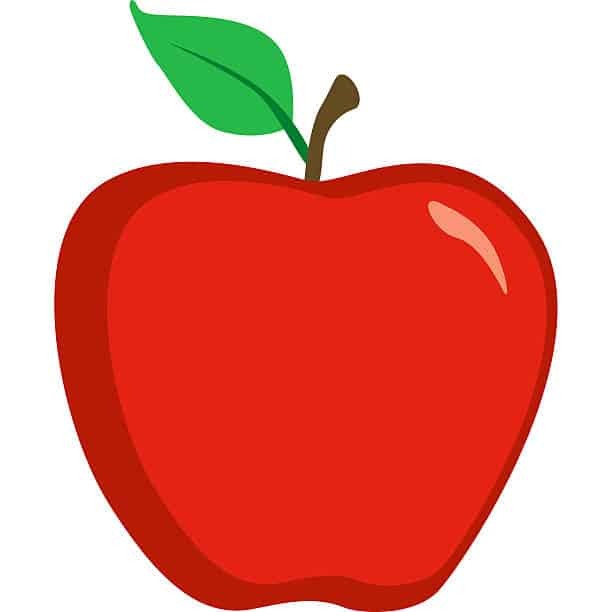 In addition of containing healthy nutrients, apples are good for maintaining good oral hygiene. Due to their grainy texture and crunchy consistency, apples keep the dog’s teeth clean. Therefore, apples are a far healthier and cheaper alternative to dental chews. In spite of the above listed benefits, apples are only recommended in moderation. Although the apple itself is healthy certain parts of it are not. Those parts include the peel, core and seeds. Peels are hard to digest, the core poses a dangerous choking hazard and the seeds contain certain amount of cyanide. Few pieces of seeds are not enough to cause harmful effects but if frequently consumed, the cyanide can accumulate and eventually lead to poisoning. What should I do if my dog ate apples? If your dog ate dangerous apple parts, call your vet and follow his instructions. Can my dog have Celery? As part of the leafy greens family, celery has perfect nutritional values. 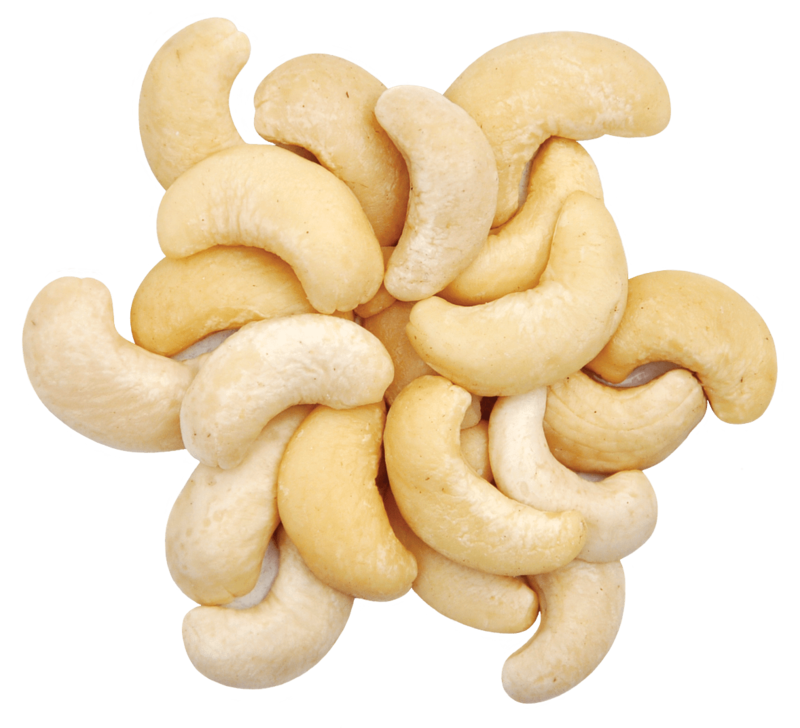 It contains plenty of vitamins (A, E, K, B, C) and has extremely high water content. Since most leafy greens are canine friendly, it is only logical to assume that celery is safe for dogs. However, that is not the case. In spite of its healthy and highly nutritious values, celery is not recommended for dogs. This is due to the celery’s tough consistency and stringy texture. 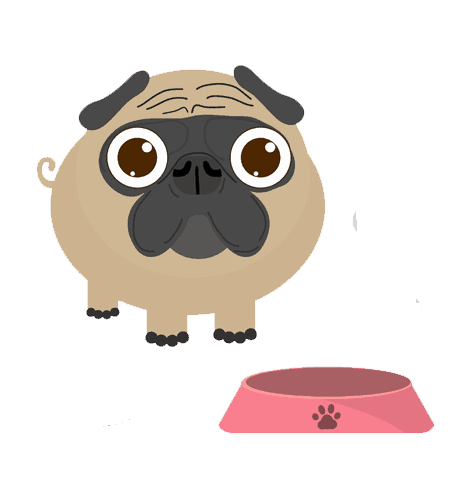 If dogs toke their time and chewed their foods properly, these factors would not be an issue. 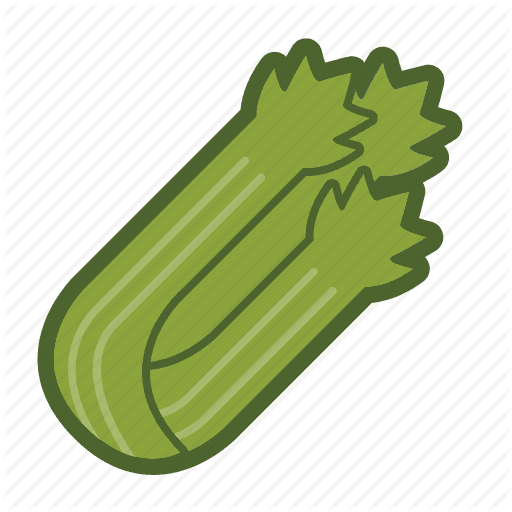 Unfortunately since dogs tend to be voracious eaters and do not bother to chew, the celery may pose a dangerous choking hazard if it ends in the windpipe. On the other hand, if the dog swallows it, the strings are likely to curl up and cause intestinal blockage. 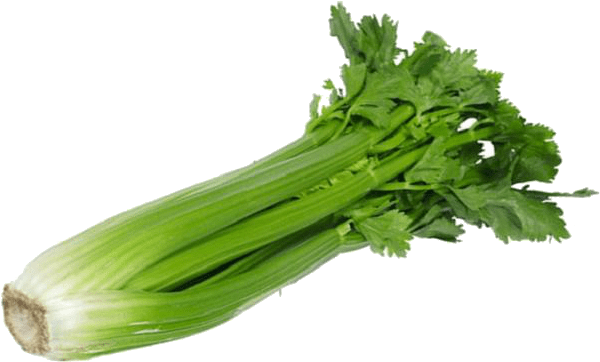 Bottom line, considering the possible side effects and the fact that there are far healthier and safer treat options available, it can be concluded that celery is not recommended for dogs. What should I do if my dog ate Celery? If your dog ate celery, and if he is not well, observe it for any changes in behavior and if some issues arise, call your vet. 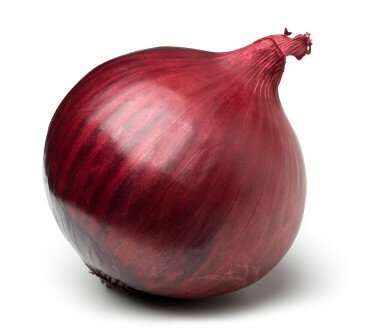 Can my dog have Onion? Onions, together with garlic, leek and chives are all members of the Allium family and they are all strictly forbidden for dogs. It is because onions contain an ingredient called thiosulphate which is extremely toxic to dogs. The thiosulphate damages the hemoglobin (substance found in red blood cells, responsible for carrying oxygen). Once the hemoglobin is damaged, the red cells containing it rupture and are consequently removed from circulation. When the amount of circulating red blood cells decreases to a certain level, the affected dog shows signs of anemia. If the amount of consumed onion is not enough to cause toxicity, it will definitely lead to gastrointestinal irritation – vomiting and diarrhea. Keep in mind that the amount of onions required to cause toxicity are very low. Therefore, if giving your dog store-bough foods, you need to be extra careful (because onion is found in a surprisingly wide range of food products – for example soups). All parts of the onion (flesh, leaves, juice) and all forms of onions (raw, cooked, dried, powdered) are toxic to dogs. 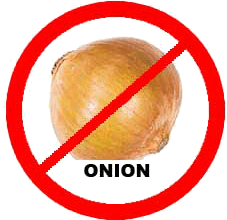 What should I do if my dog ate onion? If your dog ate onion, immediately take him to the local veterinarian. Can my dog have Tomatoes? The tomatoes’ safety for dogs is quite complex. While ripe tomatoes are considered relatively safe, their green, leafy parts and stems, as well as unripe tomatoes are considered toxic for dogs. Since separating the toxic from the non-toxic parts can be risky and challenging, it is best to assume that that tomatoes are not recommended for dogs. • Neurological signs – tremors and seizures. Nevertheless, ripe tomatoes do contain some beneficial nutrients like healthy, dietary fiber, minerals (potassium), vitamins (A, C) and most importantly a phytonutrient called lycopene. 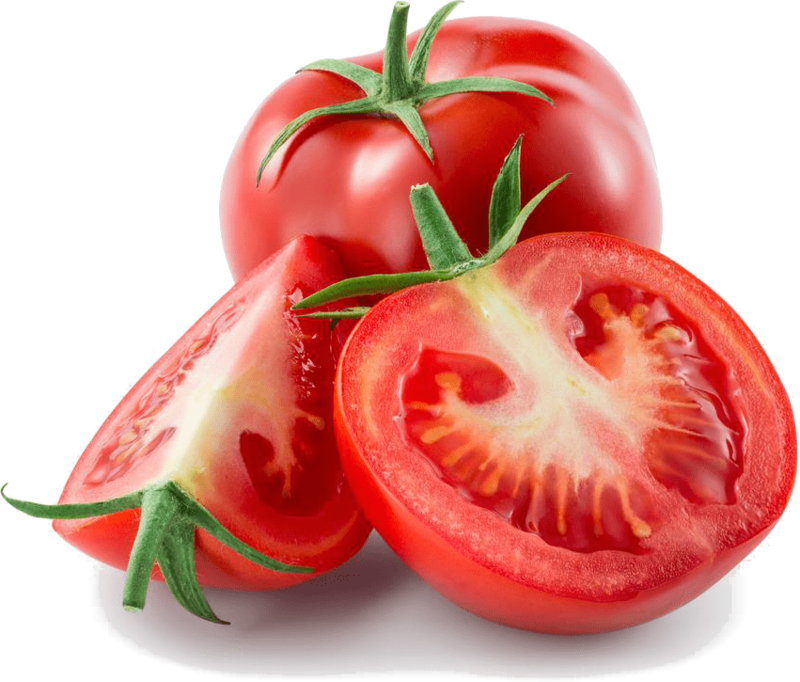 The lycopene can reduce the risks of heart attack, stroke and cancer. All in all, whether tomatoes can be used in dogs depends on how they are used and in which quantities. Generally speaking, they are listed as non recommended food for dogs. What should I do if my dog ate tomatoes? Can my dog have Cherries? 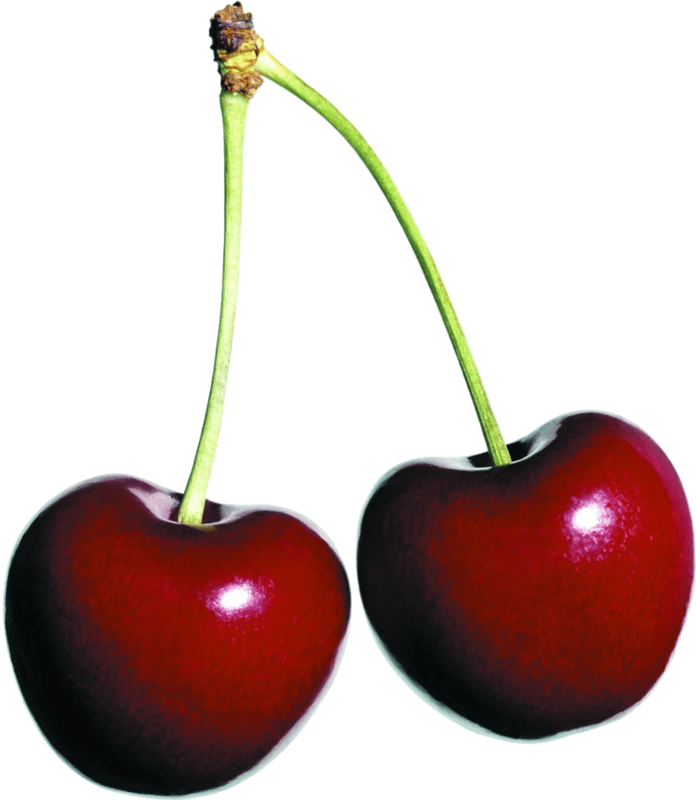 Although not toxic, cherries are not recommended for dogs due to several reasons. First of all the cherry pits, leaves and stems contain a chemical compound – cyanide which is extremely toxic and potentially fatal. Additionally, if swallowed, the pits can cause intestinal obstruction and if inhaled can lead to choking. Even of you remove the pits from the fruit’s meat, cherries are still not suitable for dogs. It is because the cherry’s meat is quite hard to digest and if the dog eats it, chances are it will experience gastrointestinal discomfort. 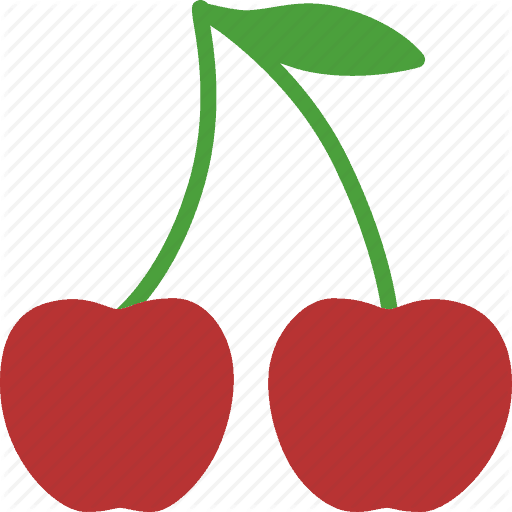 Even maraschino cherries (pits-free cherries) are not appropriate for dogs, because they are additionally sweetened. With everything being said, considering all the troubles cherries may cause in dogs, it can be concluded that they are simply not worth the risks. What should I do if my dog ate Cherries? Depending on which part of the cherry your dog ate, you should careful monitor it for any signs of gastrointestinal discomfort. If there are any sign, contact your vet. Can my dog have Cranberries? Cranberries are not toxic, but they are also not the safest treat option for dogs. 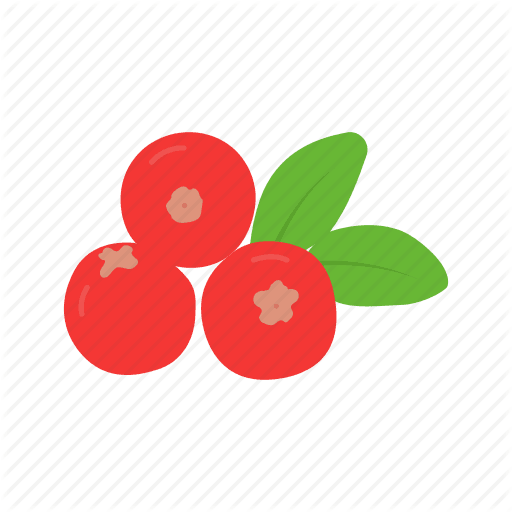 Cranberries are relatively difficult to digest and can easily lead to impaired digestion. It is a common misconception that cranberries aid dogs fight recurrent and stubborn urinary infections and diseases. The truth cannot be further. 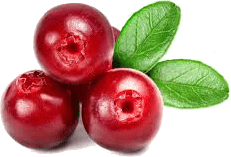 Cranberries actually promote the forming of calcium oxalate stones in the urinary bladder and this stones are associated with pain and long-lasting consequences. Additionally, dried cranberries have extremely high sugar contents and usually come mixed with other fruits and nuts that can be toxic. Cranberry juices and cranberry sauces should also be avoided due to their high sugar contents. All in all, although cranberries are not toxic they are still classified as not recommended human food for dogs. What should I do if my dog ate Cranberries? If your dog ate cranberries, observe it for any changes in behavior and if some issues arise, call your vet. If you’re pet sitting, Please ask your client about their preferred vet and thier phone number beforehand.